Why Tier 4? Because it's PURPLE ...in more ways than one! 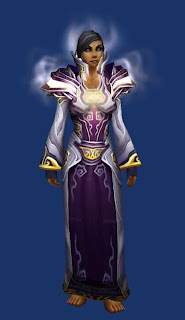 And because I played a priest and fondly recall the early days of conquering Karazhan one boss at a time with my wonderful guild <Retribution> a.k.a. <Negative Progression>. 2008 - the sorry state I left the costume in, before I got married. Notice the bridal bouquets scattered about. Wedding projects were more important at this point. 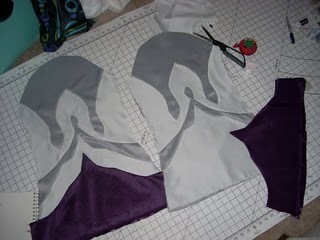 This time I am actually going to finish this project. Why? Because I have developed a Most Excellent Project Plan and Timeline! Over the last week I have already made a lot of progress! This time around I am going to finish it. Really, I am! 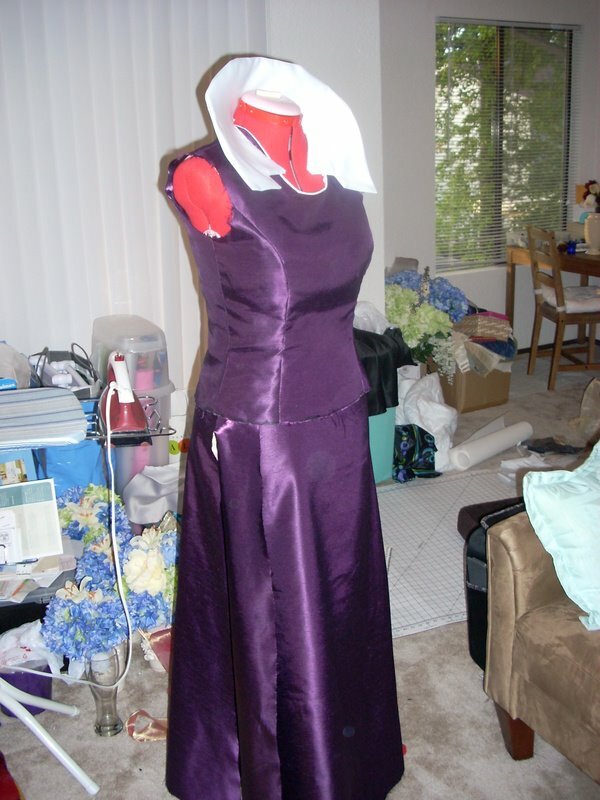 I aim to complete one piece each week, and that will give me three weeks before Halloween to complete finishing touches and details like footwear, hair and makeup. Wish me luck! 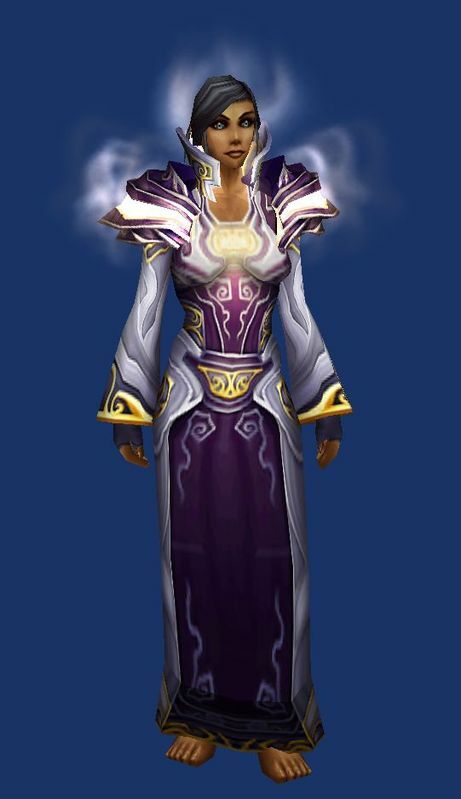 Seriously, by the time I finish this costume, Blizzard will be reusing the graphics for this armor set for Priest Tier 17.5 (if they haven't already! ).